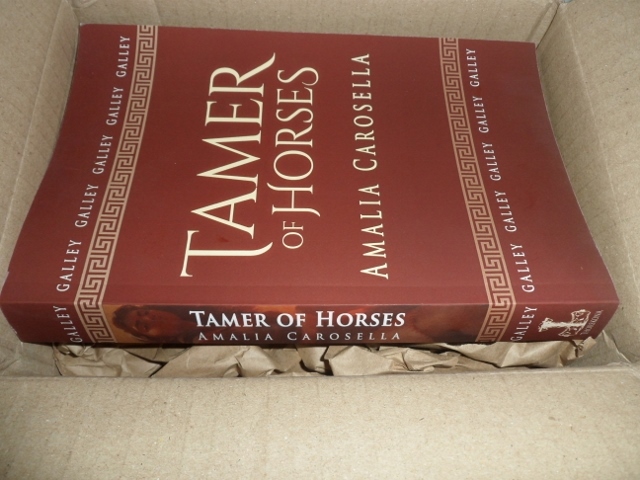 Helen loves Theseus: Tamer of Horses Goodreads Giveaway! This has been a strange and difficult week. And it's only going to get weirder and potentially more difficult for non-author me as the month goes on. I hope you'll hang in there with me! There is actually only one other print galley of this exact cover and edition in the world, so it's a super rare win if your name is drawn! I also wrapped proofs on DAUGHTER OF A THOUSAND YEARS this week (there was definitely a couple of days when I thought I wasn't going to make my deadline, but in a herculean effort, I delivered two days early instead. *phew! *) DAUGHTER will be available in February 2017 -- but don't let that stop you from adding it on goodreads or getting your pre-order on in the meantime!